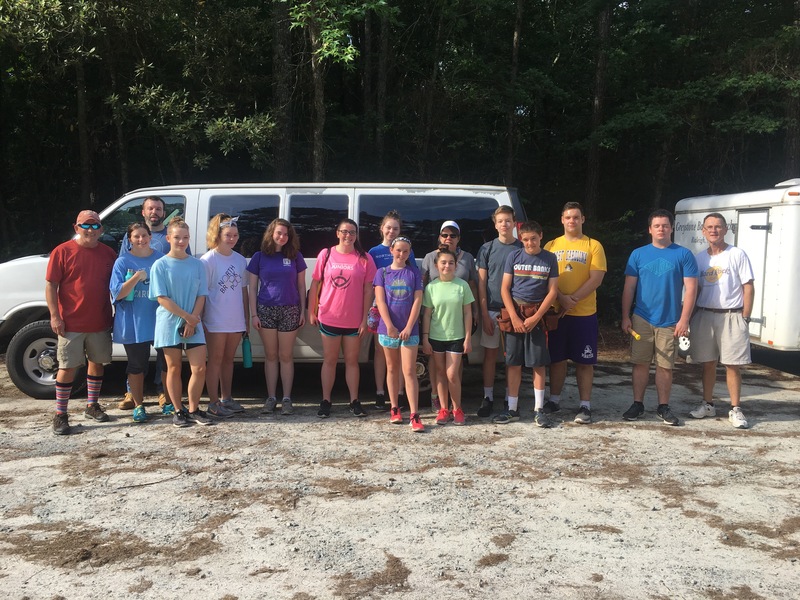 What an incredible week it was to be in Lumberton, NC from June 20-24 as 22 students and adults participated in flood relief efforts. 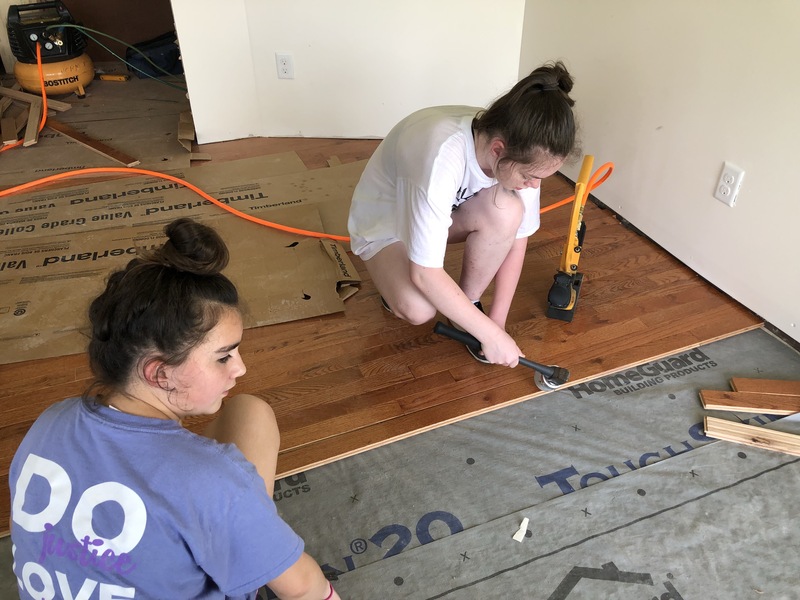 The team broke into 2 crews, both working on installing hardwood floors in different homes. The work projects were coordinated through the NC Baptist Men who have been involved with flood relief efforts at over 160 homes in the greater Lumberton area. 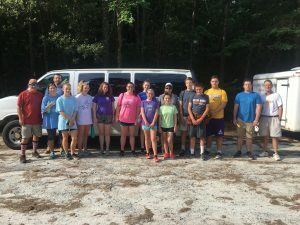 Adult mission teams from Greystone have been participating in these efforts for nearly 2 years, and a combined youth/adult team also worked in Lumberton in June 2017. At one home, the homeowner, Steve, was living right next door in a trailer. 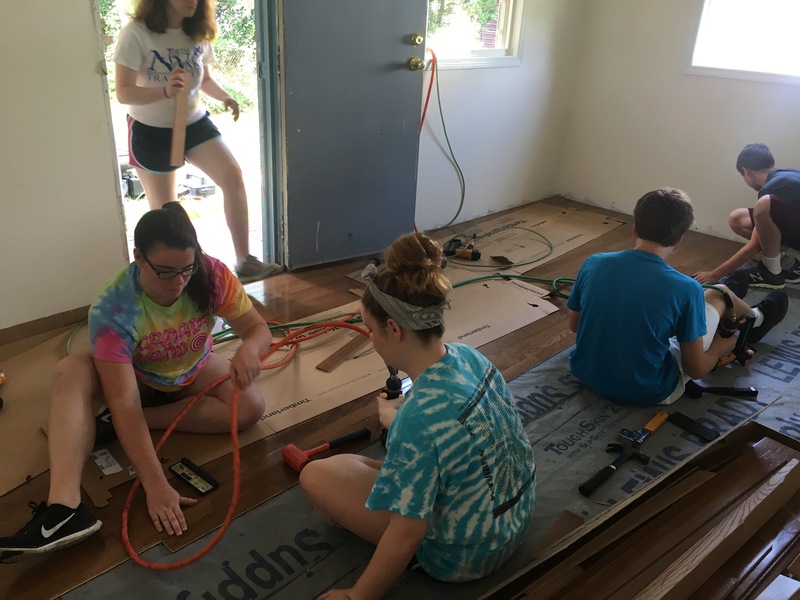 A team of adults from Greystone had actually worked with Steve’s home in late May, beginning the flooring work then. 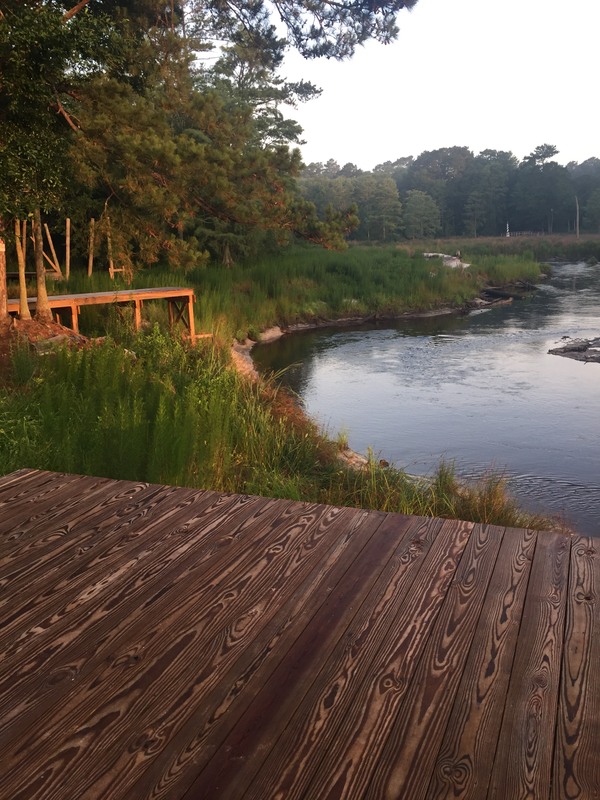 Steve has some incredible stories, including taking his mother from the house in a boat when Lumberton flooded from Hurricane Matthew on October 9, 2016. 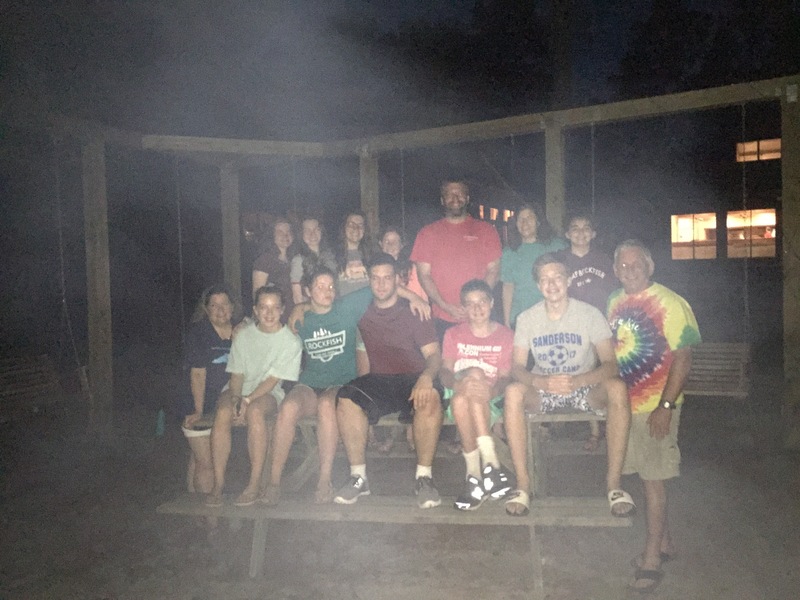 During the week, the group stayed at Rockfish Camp and Retreat Center in Parkton, NC. 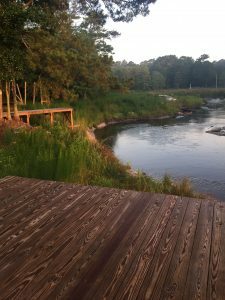 It was a great way to relax in a retreat setting after long days in the sun. A theme verse for the week was from 1 Thessalonians 5:11, which is translated in The Message as “Build up hope so you’ll all be together in this, no one left out, no one left behind.” In evening devotion and reflection, the students and adults discussed how they were building community through their work: community with one another, community with homeowners and others living in Lumberton, community with Godwin Heights Baptist Church (who hosted us for lunch during the week and worship on Sunday morning). Students had a wonderful experience; many even remarked that they wish they could stay to do even more for Steve and the other homeowner, people who have been out of their homes for almost 2 years. The week was a blessing to all who participated – Thanks be to God! Thank you to all of the adults who helped to make the week meaningful for the students.